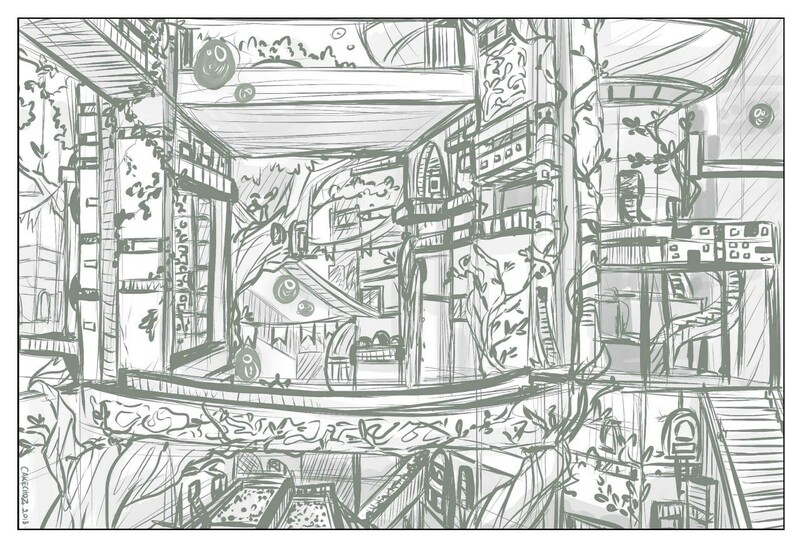 @Cakechoz Noisy, busy scenery is very hard for me. 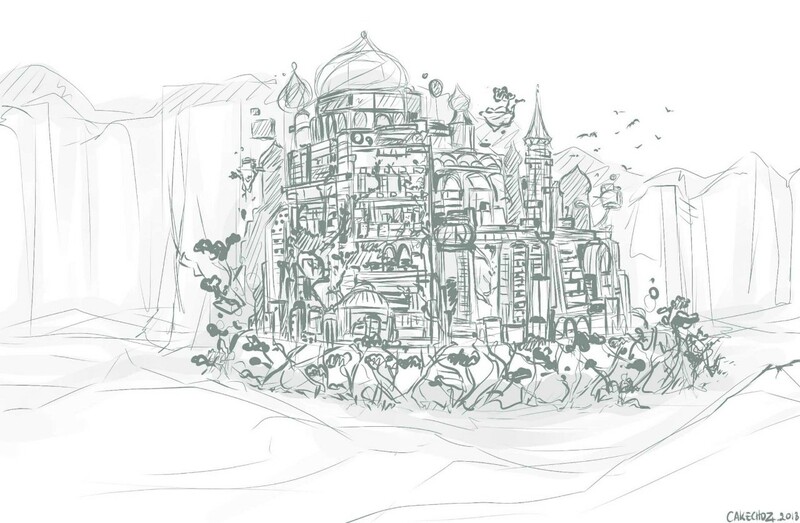 I can break it down to the architectural elements, but then I have to add the random, more organic parts, and that&apos;s where I mess up. @Cakechoz Funny how we find different parts easier! The vanishing points I can get through with brute force, but making organic structures look randomly distributed is something I have a hard time getting a handle on, because there’s so much of it and no overall structure I can use as a guideline. @Cakechoz very neat, but that first building looks like it's on fire... am i seeing this wrong?